CATHERINE A. "CATHY" (CONROY) BUDAI age 71, of Scottdale, PA, formerly of West Mifflin, on February 3, 2018. She was a daughter of the late Thomas and Anne (Bonacci) Conroy. Cathy retired as a department manager at Hill's Department Store, Kennywood Mall. She was the wife of the late David L. Budai, Sr.; mother of David (Carol) Budai, Jr., of Zephyrhills, FL and Dean (Florence Fallon) Budai, of West Mifflin; grandmother of David James Budai, Daniel Lawrence Budai and Nathan Thomas Budai; sister of the late Ellen (late Robert) Coret. Also survived by her caregivers and loving family, Michael and Chris Tkacs, of Scottdale. There will be no visitation or services. In lieu of flowers, memorial contributions may be made to St. Jude Children's Research Hospital . Arrangements entrusted to MALOY - SCHLEIFER FUNERAL HOME, INC., Duquesne, PA 412-466-3300. HELEN T. GETNER age 101, of West Mifflin, in the quiet stillness of Christmas morning, four days short of her 102nd birthday, she was a daughter of the late Michael and Anna (Gombita) Pundzak. She was a member of Christ the Light of the World Parish and a member of the Women of the Moose. Wife of the late Stephen J. Getner; mother of Stephen (Dolores) Getner of Butler, Kenneth (Paulette) Getner of Duquesne, Dianne (Kenneth) Awenowicz of West Mifflin, Richard (Valerie) Getner of Fort Myers, FL; also ten grandchildren; and 12 great-grandchildren; sister of Michael (late Dorothy) Pundzak of Toledo, OH; predeceased by her brothers and sisters, John Pundzak, Joseph Pundzak, Mary Parenicka, Anna Peklansky, Pauline Rohall and Margaret Pancurak. Visitation Thursday, December 28, 2017, from 2-4 and 6-8 p.m. at the MALOY - SCHLEIFER FUNERAL HOME, 915 Kennedy Ave., Duquesne, 412-466-3300. Funeral on Friday, December 29, 2017, her 102nd birthday, Blessing Service at the funeral home at 9:30 a.m. followed by Mass of Christian Burial at Holy Name Church of Christ the Light of the World Parish at 10 a.m. Rev. Thomas Lewandowski, officiating. Burial will be in Holy Name Cemetery, West Mifflin. Memorial contributions may be made to Christ the Light of the World Parish, 32 S. First St., Duquesne, PA 15110. 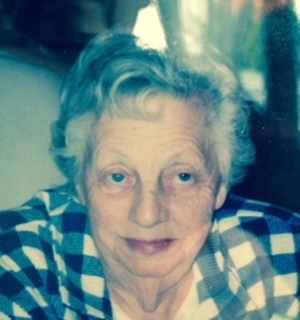 Her family would like to thank Sycamore Estate for their kind and compassionate care given to Helen and her family. MARGARET E. "MARGIE" (HARSHMAN) BUDAI age 59, of West Mifflin, in the quiet stillness of Christmas morning, at home, she was a daughter of Miriam L. (Boyce) Harshman of Charlotte, NC and the late Charles O. Harshman. She was the deli manager at Kennywood Giant Eagle with 37 years service. She enjoyed baking, making candy, was a golf fan and loved all Pittsburgh sports. She was the wife of 16 years to Brian Patterson; sister of Barb (Bill) Baird of Beaver Falls, John Harshman of East McKeesport, Bob (Cheryl) Harshman of East McKeesport, Linda (John) Yuhasz of West Mifflin, Kathleen (Dennis) Procacina of North Versailles, Terry (Donna) Harshman of West Mifflin, Amy (Mike) Ballough of Charlotte, NC, Mickey (Sis) Harshman of Las Vegas, Thomas Harshman, West Mifflin, Daniel (Tammy) Harshman of Greenock and the late Charles Harshman; sister-in-law of Ingrid (Jim) Hawkins of Florida; also multiple nieces and nephews. Memorial visitation on Friday, December 29, 2017, from 2-4 and 6-8 p.m. at the MALOY - SCHLEIFER FUNERAL HOME, 915 Kennedy Ave., Duquesne, 412-466-3300 where a Memorial Service will be held at 4 p.m. Rev. Terry O'Connor, officiating. 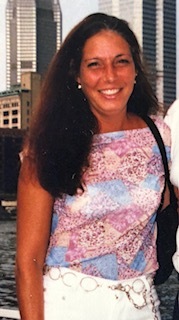 SHERYN L. BACHOWSKI age 50, of Penn Hills, on December 20, 2017. She was the daughter of the late Franklin Leroy and Donna Lee (Lyons) Swartz. She was a benefits coordinator for Cottingham in Butler and enjoyed spending time on her computer, was a country western fan and loved her dog, Blackie. Wife of 17 years to Jeff D. Bachowski; also survived by her uncle, Thomas (Jane) Lyons of Bethel Park. Memorial visitation on Thursday, December 28, 2017, from 9-10 a.m. at the MALOY - SCHLEIFER FUNERAL HOME, 915 Kennedy Ave., Duquesne, 412-466-3300 where her funeral services will be held at 10 a.m. Rev. Thomas Lewandowski, officiating. 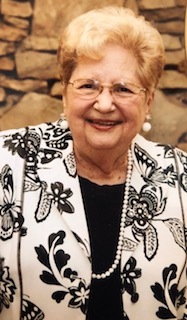 STELLA L. MARINO age 98, formerly of Duquesne, on December 21, 2017. She was a daughter of the late Alfonso and Maria (DeFrancesco) Nicolosi. 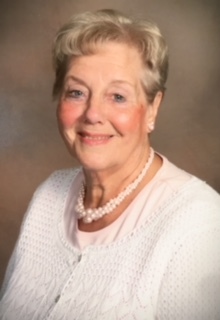 She was a member of Christ the Light of the World Parish in Duquesne, the Confraternity of Christian Mothers and Guild, Duquesne Women's Club, Prince Humbert Club and the Democratic Women's Club. Beloved wife of 61 years to the late William A. "Willie" Marino, Sr.; mother of William A. (Jeanne) Marino, Jr. of East Springfield, PA, Marilyn Marino of West Mifflin and Robert A. Marino of Port Vue, PA; grandmother of Angela (Mark) Barsotti, Anthony Marino, Jason (Sarah) Pastor, late Todd (surviving spouse Tracy) Pastor, William "Willie" Marino, Stephen (fiancée Alex) Barncord and the late Robert Barncord; great-grandmother of Dean and Reed Barsotti, twins, Tristan and Ethan Pastor and Mia Pastor; sister of Al Nicolosi and Sandy Bucaria, both of New Jersey. Visitation on Tuesday, December 26, 2017, from 4-8 p.m. at the MALOY - SCHLEIFER FUNERAL HOME, 915 Kennedy Ave., Duquesne, 412-466-3300. Blessing Service on Wednesday, December 27, 2017, at 11:30 a.m. in the funeral home followed by Mass of Christian Burial at Holy Name Church of Christ the Light of the World Parish at Noon. Rev. Thomas Lewandowski, officiating. Burial will be in St. Joseph Cemetery, West Mifflin. Memorial contributions may be made to the Heartland Hospice Memorial Fund, 3520 Rt. 130, Bldg. 3, Irwin, PA 15642. VICTOR C. "CHARLIE" BOYTOSVICTOR C. "CHARLIE" BOYTOS age 25, of West Mifflin, on December 20, 2017, as a result of a construction accident. Beloved son of Victor G. and Karen (Sloss) Boytos of West Mifflin. He was a carpenter and a heavy highway construction worker. He was a member of Laborers Union in Pittsburgh. He was a graduate of West Mifflin High School Class of 2011. Besides his parents, he is survived by his sisters and brother, Angeline (Jon) Stajger of North Huntingdon, Abby Boytos of West Mifflin and Dylan Boytos of West Mifflin; uncle of Liliana and Ella Stajger; grandson of Charles and Juanita Sloss of West Mifflin and the late Victor and Angeline Boytos. Also survived by aunts, uncles and cousins. Visitation Tuesday, December 26, 2017, from 2-4 and 6-8 p.m. at the MALOY - SCHLEIFER FUNERAL HOME, 915 Kennedy Ave., Duquesne, 412-466-3300. Funeral on Wednesday, December 27, 2017, with a Blessing Service at the Funeral home at 9:30 a.m. followed by Mass of Christian Burial at Holy Name Church of Christ the Light of the World Parish at 10 a.m. Burial will be in St. Hedwig Cemetery, West Mifflin. Memorial contributions may be made to Make-A-Wish Foundation . Age 92, formerly of Duquesne, on December 15, 2017. He was a son of the late Andrew and Anna (Makohus) Moran. He was retired from US Steel, Duquesne Works. Husband of the late Jennie T. (Pizzuto) Moran; father of Pastor James (Lynn) Moran of Cranberry Twp. and Mary Ann (John) Bandi of Turtle Creek; grandfather of Heather (Jason) Loudenslager, Matthew Moran and Christopher Moran; great-grandfather of Katelynn, Cooper, Cambryn Loudenslager and Amelia Moran; brother of Irene Moran of West Homestead, Edward (Dolores) Moran of Muncie, IN and Mildred Moran of West Homestead. He was predeceased by sisters, Margaret Gamret, Sr. Mary Pius, Mary Gasparovic, Eleanor Rusnak, and Dorothy Bracco. Visitation Monday, December 18, 2017 from 4-8 p.m. at the MALOY-SCHLEIFER FUNERAL HOME, 915 Kennedy Ave., Duquesne 412-466-3300 where funeral services will be held on Tuesday at 11 a.m. Burial will be in Good Shepherd Cemetery. 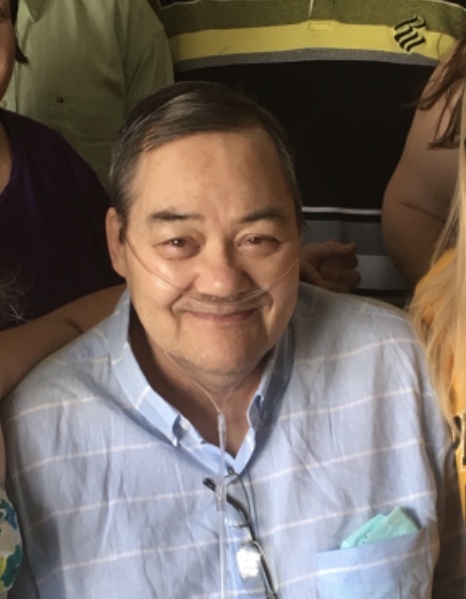 In lieu of flowers or memorial gifts, the family request that donations may be made to Evening Star Personal Care Home, 200 Caldwell Ave., Wilmerding, PA 15148. JOAN F. WHITE age 95, of White Oak, formerly of Duquesne, on December 12, 2017. She was a daughter of the late Joseph and Annie (Hollis) Asson. 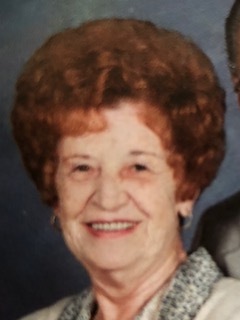 She was the wife of the late John C. "Jack" White, Jr.; mother of Carol Schultz of Mesa, AZ, Joan Hanlon of Cocoa Beach, FL and John C. "Jack" (Elaine M.) White III of Elizabeth; also seven grandchildren Dawn Odil, Christopher Cifaldi, George Schultz, Timothy Richards, Shawn Magiera, Kellie O' Donnell, Jacqueline Bedzik; nine great-grandchildren; and three great-great-grandchildren. Memorial visitation on Monday, December 18, 2017 from 9-10 a.m. at the MALOY- SCHLEIFER FUNERAL HOME, 915 Kennedy Ave., Duquesne at which time services will be held. Memorial contributions may be made to Family Hospice, 310 Fisk St., Pgh., PA 15201. Age 77, of West Mifflin, PA (originally from Omaha, NE), unexpectedly passed away with her family by her side on Wednesday, December 6, 2017, after a short battle with cancer. She was preceded in death by her son, Jonathan Hoblak; beloved wife of 59 years to John Hoblak; dearly treasured mother of Barbara Simmons, James (Cynthia) Hoblak, Susan (Edward) Davies, Kathleen Hoblak, Kristine (Robert) Karpinsky and Eric (his wife, Devera Davis) Hoblak; loving grandmother of 11 grandchildren; and great-grandmother of 14; also survived by her sisters, Norma May of Minneapolis and Marilyn Hannan of Phoenix. She dedicated her life to her faith and family. She was an active member of Christ Lutheran Church in Forest Hills and served in a number of capacities. Her life was measured by her success of those she so deeply touched. Her most cherished times were those spent with her beloved family. Her grace and strength in the face of adversity will always be remembered. She will be deeply missed. Visitation will be at the MALOY - SCHLEIFER FUNERAL HOME, 915 Kennedy Ave., Duquesne, PA 412-466-3300. Hours of visitation will be Saturday from 2-4 and 6-8 p.m. and Sunday from 12-4 and 6-8 p.m. Funeral service will be Monday at 11 a.m. at Christ Lutheran Church in Forest Hills with a luncheon to follow. Memorial contributions may be made to Christ Lutheran Church, 400 Barclay Ave., Forest Hills, PA 15221. BRIAN PAUL BAKER age 41, of West Mifflin, PA, was born on November 16, 1976 and passed away on Monday, November 27, 2017. 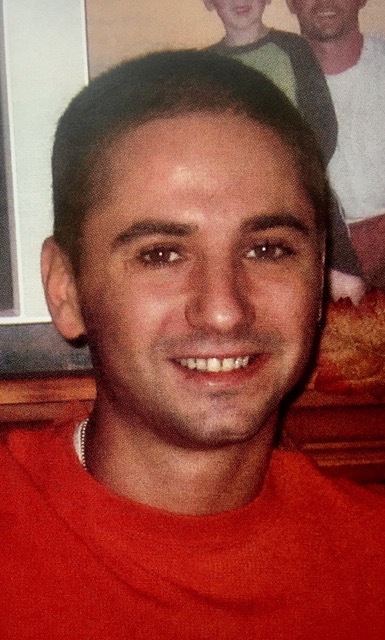 Brian was a member of Local Union #373 and worked at Baker Salvage Recycling and Landfill. He enjoyed spending time with his family, detailing cars and going fishing. 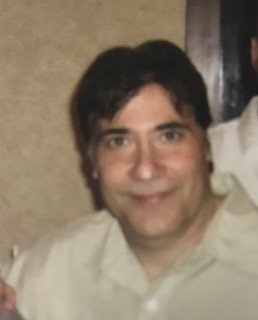 Brian was a smart, loving, charismatic son, brother and uncle. He was a son of James C. and Mary A. (Semow) Baker; brother of J. Ben (Jamie) Baker, Carin N. Baker, late Dr. Samuel A. (surviving spouse, Dr. Joanna) Baker; uncle of Samuel Baker, Gianna Baker, Alexander Baker, Harlon Baker and Ryan Marecic. There will be a private service, held for immediate family only. In lieu of flowers, donations may be made to The Lighthouse Foundation. “Their goal is to see lives transformed through hope and faith in Jesus Christ”. www.thelighthousepa.org or checks made payable to The Lighthouse Foundation, P.O. Box 366, Bakerstown, PA 15007. Please note on donation, In Memoriam of Brian P. Baker. Arrangements entrusted to MALOY-SCHLEIFER FUNERAL HOME, Duquesne, PA (412-466-3300).